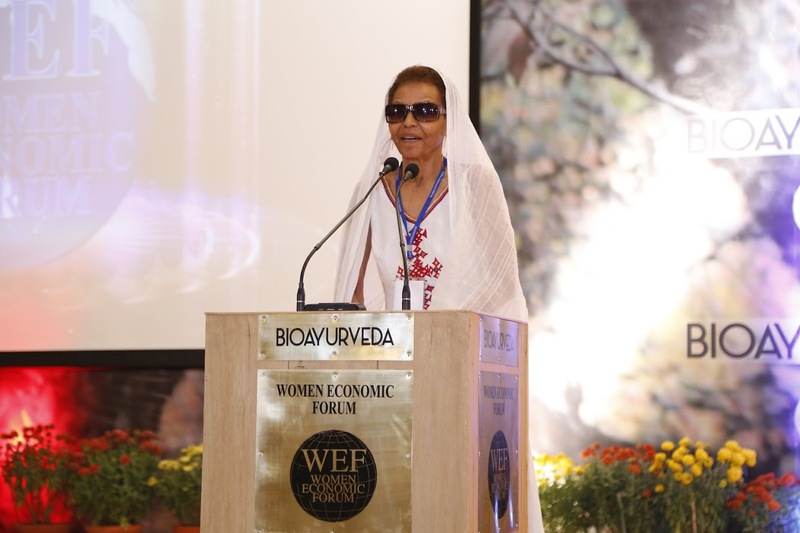 Ms. Bogaletch Gebre attended the Annual edition of the Women Economic Forum (WEF) in New Delhi in April, where she was among the awardees of of “Women of the Decade in Community Leadership”. 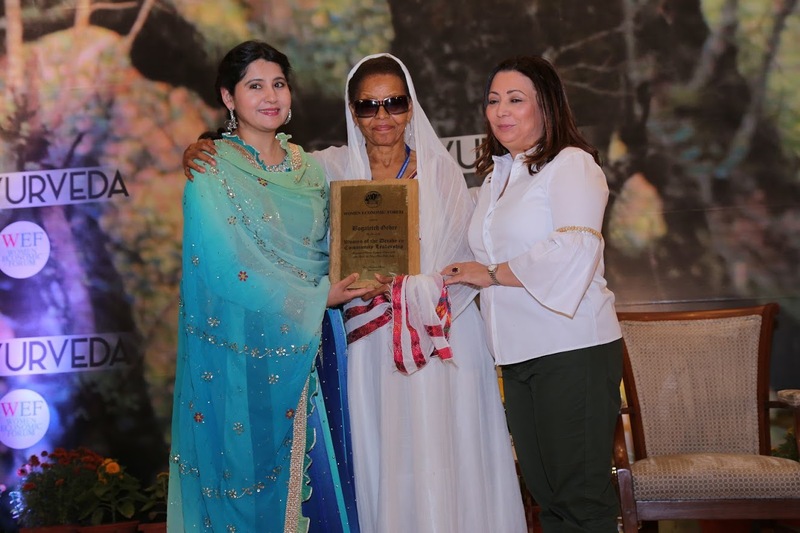 Boge was given the award in recognition of her “empowering leadership and stellar contributions”. The Women Economic Forum is a global conference of the All Ladies League (ALL) to foster conversations and collaborations among women leaders and entrepreneurs from all walks of life. In her acceptance speech, Boge talked about how she grew up in a small village in Ethiopia where – like any typical Ethiopian girl – she fetched water and helped her mother with cooking and other household chores; how she suffered Female Genital Mutilation (FMG) and nearly bled to death: and how she attended school in secret leaving her house “to fetch water” since girls were not allowed to go to school. She went on to recount how she was the first girl from her village to attend elementary and high school, and to pursue undergraduate and graduate studies abroad under various scholarships. 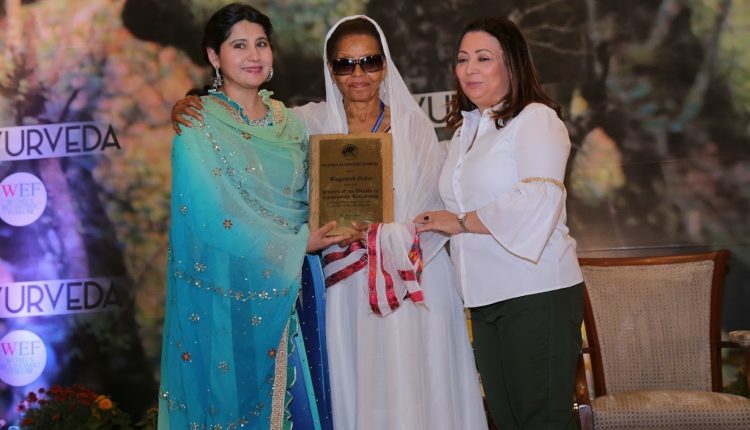 She then went on to discuss how she went back to Ethiopia in 1997 to organize her community and establish KMG, which has helped – directly or indirectly – over 9 million people in eliminating harmful cultural practices such as FGM, and reducing gender-based violence. She concluded by making a powerful appeal the attendees to create a global coalition to end gender-based violence once and for all, and to work in partnership with men since birds can’t fly with only one wing.